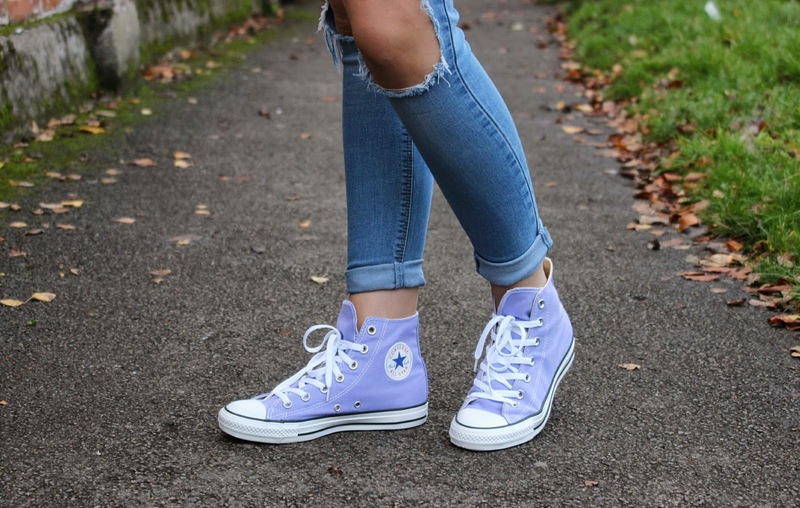 Bit more of a causal one today as I just had to get my new lilac converse up on the blog. My converse collection is getting a bit silly now but I just can't get enough of them, they are just the easiest things to wear not to mention how they go with everything! The coloured ones are great to add a pop of colour to an outfit like what I am wearing here. Can't go wrong with some ripped jeans and a shearling jacket!